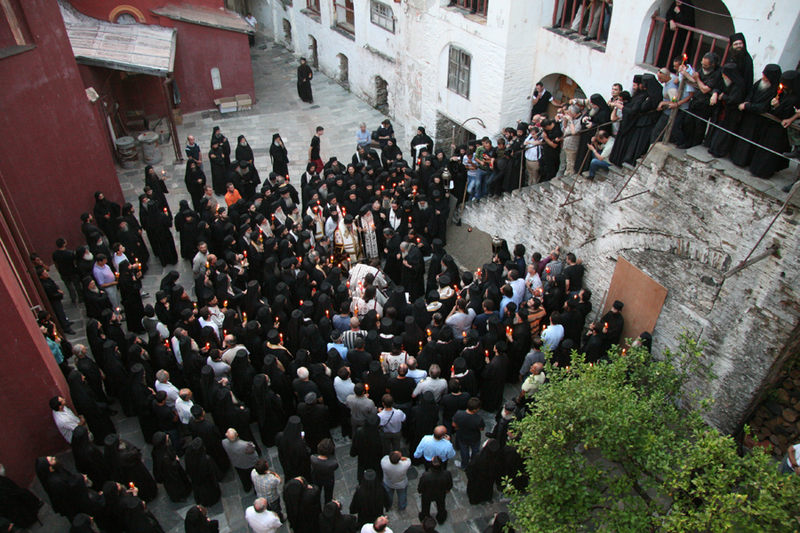 Yesterday at 6:00 pm the funeral Service for the blessed Elder Joseph Vatopedinos took place in the Catholicon (main church) of the Vatopedion Sacred Monastery of the Holy Mountain; it finished at 9.00 pm, and was followed by the traditional funeral treat in the Synodicon and the Dining Room of the Monastery. 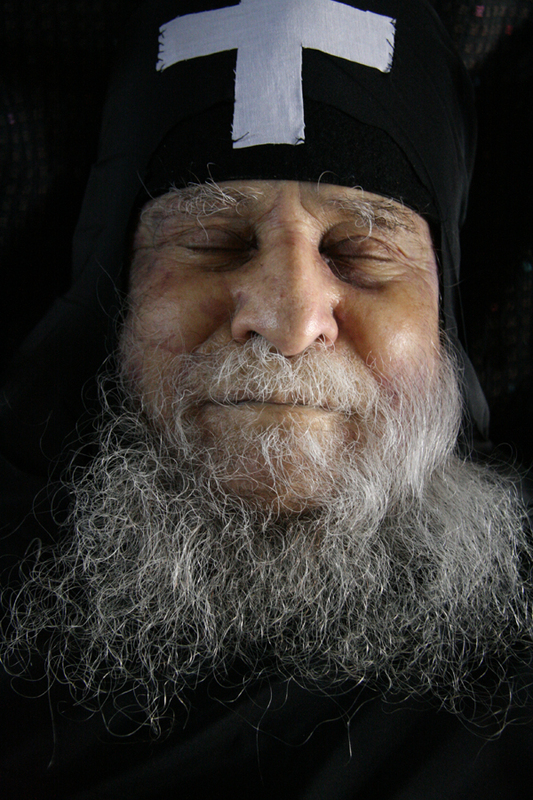 Present at the funeral were 4 High Priests, 10 abbots, the Chief Elder Symeon Dionysiates and the Sacred Supervision of the Holy Mountain, tens of Priests and hundreds of faithful, who, upon learning of the passing of the blessed Elder, came to the Monastery from many parts of Greece and Cyprus, leaving behind whatever pending jobs and activities they had (myself also being one of them). 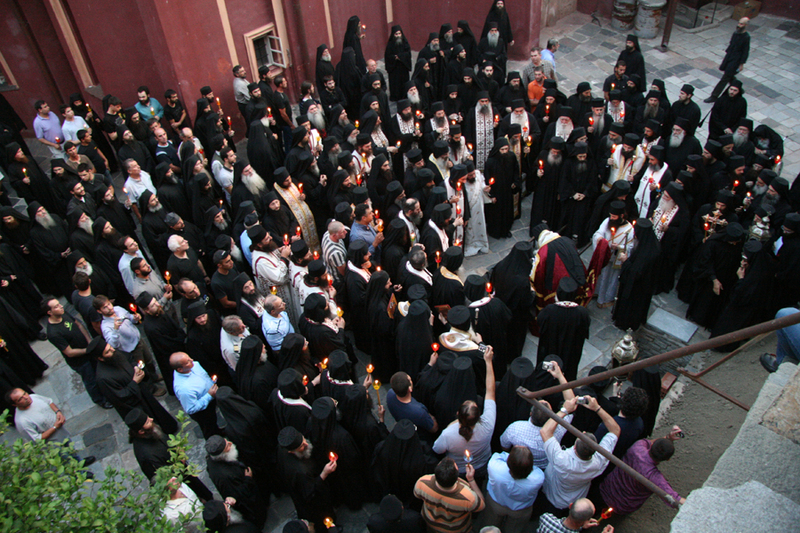 Funeral eulogies were delivered, in order, by the Most Reverend Metropolitan of Limassol Athanasius, the Abbot of the Vatopedion Monastery Archmandrite Ephraim, both spiritual children of the departed Elder, who stressed very emotionally the Elder's immense paternal love which they had witnessed during the years that they had associated with him. 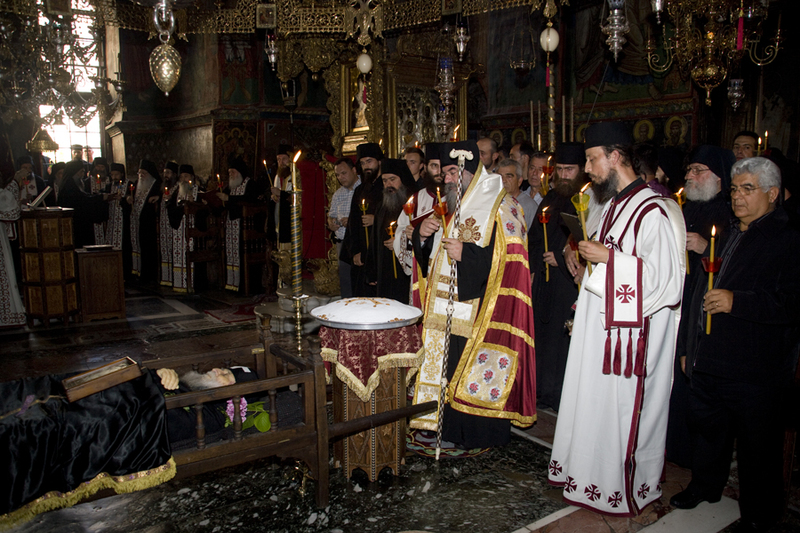 Next was the Reverend Metropolitan Seraphim of Kastoria, who highlighted the Elder's contribution towards the Christian laity, with his comforting and discerning words and writings, and who had furthermore left behind an example of forgiveness and forbearance to all those who had wrongly accused him and slandered him. 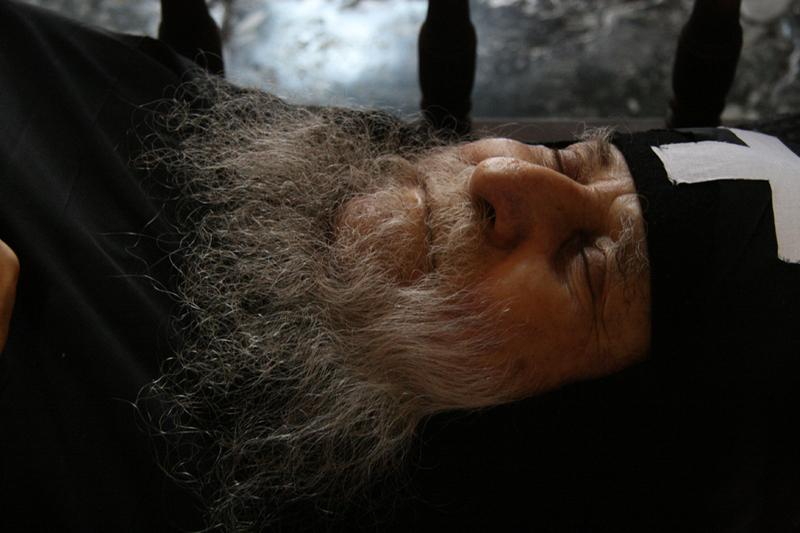 In his speech in the Synodicon, the Abbot of the Sacred Monastery of Simonos Petra, Archmandrite Elissaios, stressed that the Elder Joseph was a point of reference for the Holy Mountain and possessed by the desire to see the monks loving God. Every encounter with the Elder was an experience in itself. Those present at the funeral were blessed with the opportunity to offer their last farewell to the Elder and receive one last blessing from him. However, what they confronted there was not a frigid corpse; instead, they were gazing at a cheerful, graceful countenance - one that seemed to be offering them a smile from Eternity. 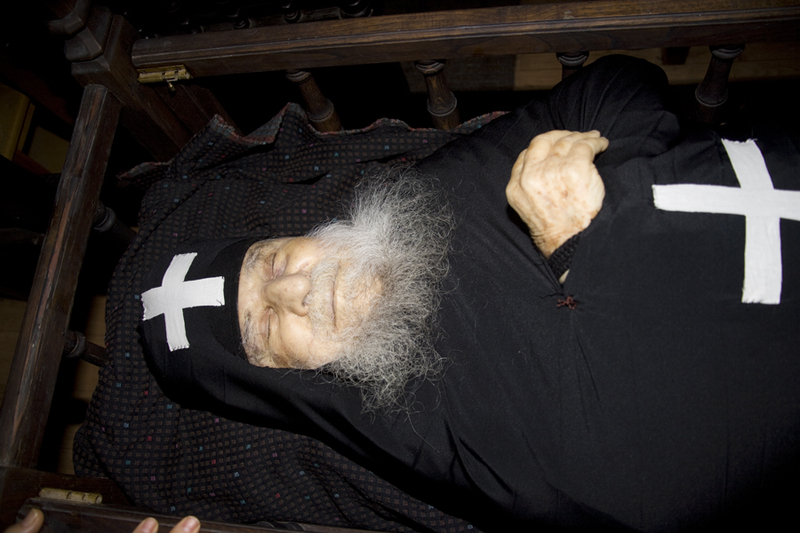 Speaking for myself, it was the first time in my entire life that I had ever seen such an expression and vivacity on a dead person's face (which you can see for yourself, from the photos of the Elder). 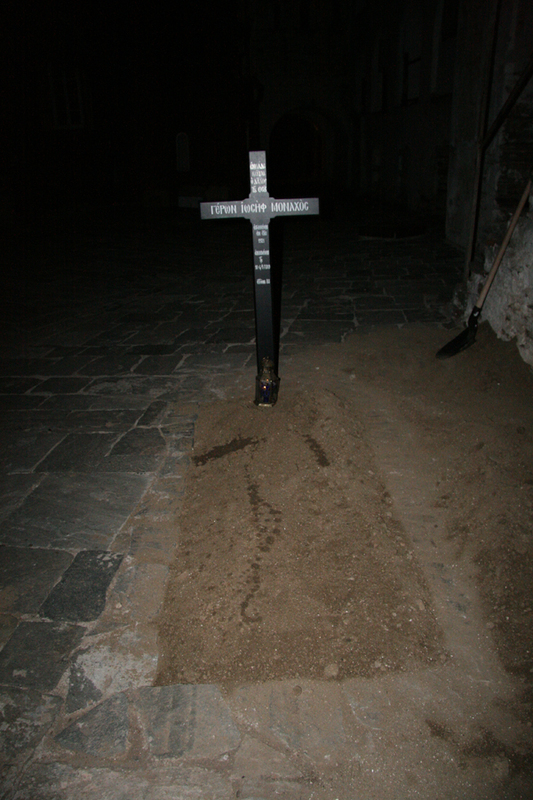 The burial of the Elder was not in the Cemetery of the Monastery, but outside the Catholicon, at its northeastern side, where his grave had also been prepared a few years ago. 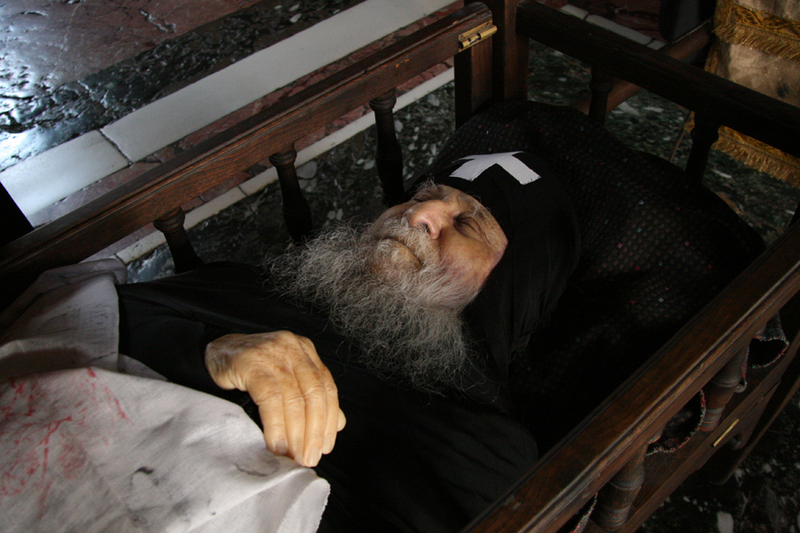 All those who were present were certain of the Elder's repose at the right-hand side of God. Feelings were mixed: emotional, along with resurrectional rejoicing. Article published in English on: 2-7-2009.